Our number one priority is replacing Marshall’s cramped 50 year old high-kill shelter with a modern low-kill facility and we raise money all year towards that goal. Our active foster and adoption program works hard at getting animals out of the shelter and into responsible permanent homes where they are safe and loved. 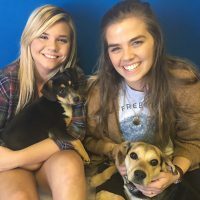 Raising awareness of pet ownership issues and the critical need for a new shelter (and the many advantages it will offer) are positive ways that we promote progress. Friends of Marshall Animals (FofMA) is a 501c3 non-profit organization dedicated to supporting the Marshall Animal Shelter. 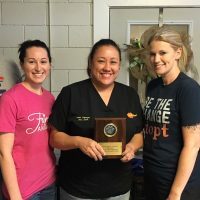 Our mission is to raise awareness of the need for a cleaner, safer, and more spacious animal shelter that will serve the community at large by lowering euthanasia rates and providing low-cost spay/neuter programs and other services that the existing facilities cannot. Through fundraising, adoption events, research, education, community outreach and ongoing support, we provide programs and services that benefit both the animals and citizens of Marshall. The current shelter, over 50 years old, is in appalling condition. Dilapidated beyond repair, it lacks the needed space to house all of the animals it takes in, leaving us with one of the highest shelter kill rates in the nation. 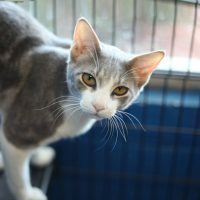 Friends of Marshall Animals needs your support to ensure that needy animals are treated with respect, dignity and decency while awaiting their forever homes. We are determined to have the kind of animal shelter that Marshall can be proud of because it serves our community and provides a safe environment for both the employees and the pets that they care for.